The new 2018 Tundra from Toyota of Tampa Bay is here and ready to help drivers in Tampa, Brandon and Wesley Chapel tackle tough jobs and be the hero of weekend getaways! When you pull up in the new Tundra everyone will know that you have arrived. Its confident design and bold front end commands all the right attention while the new honeycomb grille establishes the Tundra’s commanding presence. This pickup is rugged on the outside but the interior of the vehicle boasts comfortable soft touch materials and sharp accents. The new Tundra is so comfortable everyone will want to come along for the ride! The 2018 Tundra is ready for the worksite and the weekend. Features such as its staggered, outboard-mounted shocks and heavy-duty TripleTech™ frame with integrated towing hitch receiver offer impressive capability. The i-FORCE 5.7L V8 has the strength to tow over 10,000 pounds and handle a payload of 1,660 pounds. The available Integrated Trailer Brake Controller and Trailer Sway Control give you the power to adjust the amount of trailer breaking based on the weight of the trailer. Its largest-in-class front brakes are equipped with 4-piston brake calipers give you impeccable control when it comes to bringing the trailer to a stop. Nothing makes a long drive more enjoyable than some great tunes and nothing makes backing up easier than a wide-angle backup camera. Both are standard on the 2018 Tundra, to make navigating tight spaces and your commute more enjoyable! Need directions? Having trouble deciding on what restaurant dine at? Looking to spice up your drive with some new music? The new Tundra can help you do all of that on the fly. The available Entune® Premium Audio with Integration Navigation and App Suite system gives you access to a vast library of popular apps such as Pandora®, Yelp® and OpenTable®. If you are someone who likes to personalize your driving experience look no further than the Multi-Information Display. Located in the gauge cluster, the display provides odometer, trip meter, instant/average fuel economy, distance to empty, average speed, and trip timer data. You can personalize your experience by selecting which data is most important to you and have that information easily viewable on the display. Nothing is more important than your safety and well-being on the road. That is why the 2018 Tundra is equipped with Toyota Safety Sense™ standard. This advanced system of active safety features is designed to support your awareness and decision-making on the road. This suite includes features such as Pre-Collision System with Pedestrian Detection, Lane Departure Alert with Sway Warning, Automatic High Beams and Dynamic Radar Cruise Control. The new Tundra also comes standard with its Star Safety System™. The system includes Vehicle Stability Control, Traction Control, Anti-Lock Braking, Electronic Brake-force Distribution, Brake Assist and Smart Stop Technology®. 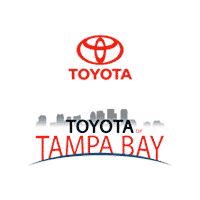 See for yourself why drivers in Tampa, Brandon and Wesley Chapel are choosing the 2018 Toyota Tundra from Toyota of Tampa Bay. Visit today to test-drive, buy or lease the new Tundra pickup.